The glass that forms the step is toughened and laminated with a thickness of 32 mm (3 layers of toughened glass 10 mm each and two 0.6 mm PVB films between them) and the finish can be extra-light, float, satinised, soured or coloured. The stainless steel used in the system is type AISI 303/304 with polished or satinised finish. 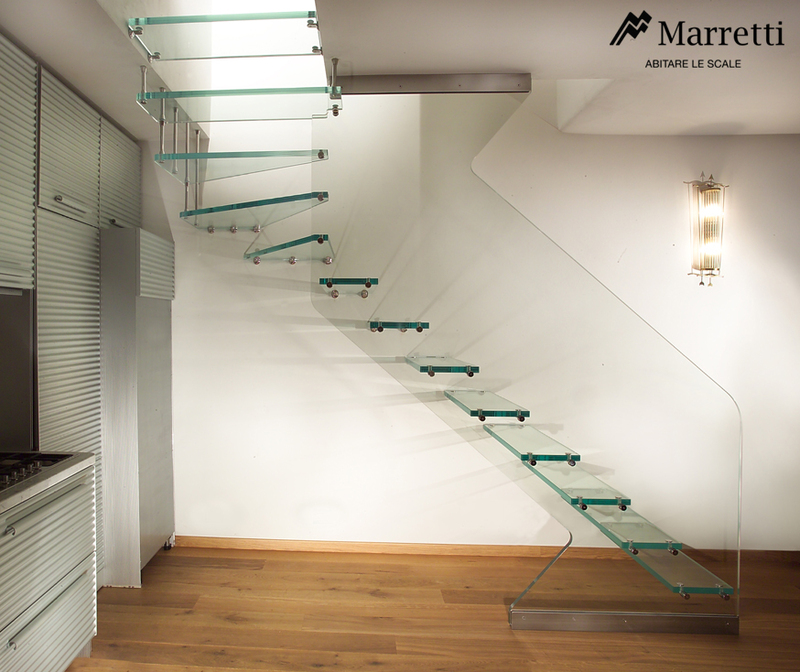 The staircases with structural glass and glass steps have a patented wall fastening system with steel pins and are tested with a certified load test for a total capacity for each step of 150 Kg. 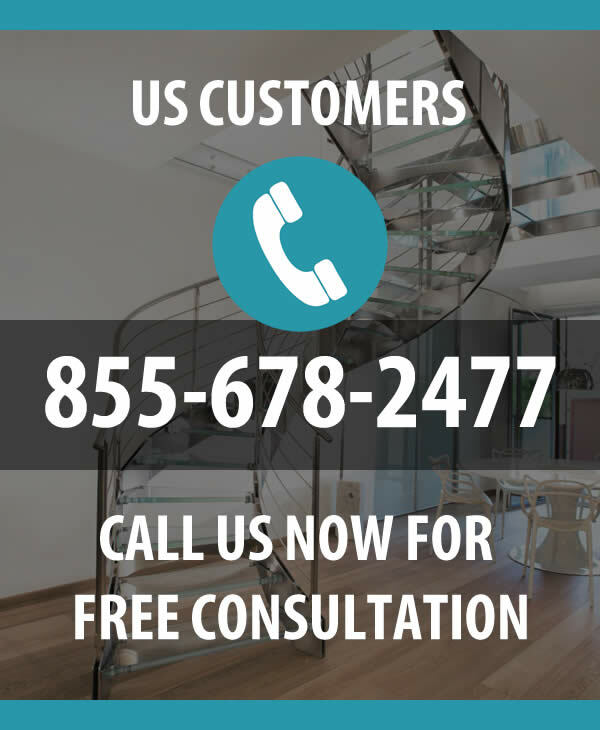 The banisters or bearing panels are completely made of toughened structural glass 12+12 (one 0.6 mm PVB film between layers) the step supports are made of stainless steel with no welds and can have a polished or satinised finish.